Started in 1984 as a small database by two Ex-Local Government Managers, we have grown in the last 30 years to offer unrivalled service to anyone wanting to understand and communicate to and within the UK Government and Public Services. Our team now has over 300 years Public Sector experience between them, coupled with the extensive and unique organisational, functional and management categorisation of our database, we can provide the most targeted and effective data and information solutions available. With our Headquarters in Torquay, Devon and Offices in Wales, Kent and Northumberland, we are a small flexible organisation, with all development, research and sales done by our own specialist team of 20 employees. All staff have either direct experience of working in the UK Public Sector, or many years working with associated Government data. Our staff turnover is perhaps uniquely low, with just one staff member leaving for pastures new in the past decade. Our database is the basis for a range of lists, products, consultancy and bespoke services that we provide to a wide and diverse set of clients from small specialist suppliers to the largest Government departments. We are proud of our company, our service and the reputation and relationships that have been built over the past 30 years. Our aim is simple, to share our Public Sector knowledge by providing accurate, effective and efficient database and information solutions and to develop lasting relationships with our clients. We also strive to share our information and research with the Public Sector in order to promote an open exchange of data and to give something back for the on-going help and support we receive in keeping our database up-to-date. 1984 - Two former Oxfordshire Council managers took the plunge into the private sector and created a small database of Local Government Organisations and Staff, providing this data to paying clients for reference and communication under the name of Keystroke Knowledge. During the 1980's the business grew to accommodate some researchers and to earn the distinction of being the first company to supply contact data on floppy disk. 1988 - Keystroke Knowledge creates a planning and data consultancy business called TACIN Ltd (Town and Country Information Network) to provide complementary services to Keystroke and it's clients. During the 1990's the coverage of the database expanded to cover all other areas of Government and both Keystroke and TACIN established themselves as the leading providers of UK Public Sector research and data. 1996 - TACIN starts providing data electronically to clients via email store and forward technology, breaking new ground with the management and provision of live data. 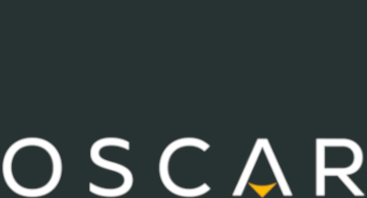 1999 - Initially taken on by TACIN as a Research Manager, James Reikert founded Oscar Research Ltd following the Directors wish to retire. Oscar took on the TACIN Local Government database, systems and clients. 2001-2008 - Oscar continues the expansion of the services and data covered as well as its client base and database systems. Doubling both the number of staff and revenue during this period. 2009 - Oscar opens up it's database for free to everyone in Government through the launch of Public Sector Network (PSN). Our Public Sector facing news and data platform. 2010 - Oscar buys Keystroke Knowledge Ltd. After a decade of separate development of staff and systems, all data and employees are combined under Oscar. Effectively bringing everything full circle. 2011 - Oscar builds a new website, database administration system and develops it's own unique live database count, selection and delivery system. 2013 - 2016 - We have continued to build on our foundations with an annual growth in revenue and clients of 10% per annum and are looking forward to the next big development. 2017 - The launch of our new Oscar website, customer area and quoting system and well as the development of a set of new intelligence, data and mapping services. 2018 - Busy year for Oscar. The launch of our new PSN website as well as the aquisition of Lists and Data Sources and team and a general overhaul of our internal structure as part of our next 5 year plan. 2019 - The 20th anniversary of Oscar Research Ltd - to be celebrated with a range of new services.